Florida Board of Clinical Social Work, Marriage and Family Therapy and Mental Health Counseling Provider Number 50-9249 course approval 20-573406. This class is taught by a Certified Diversity Professional. 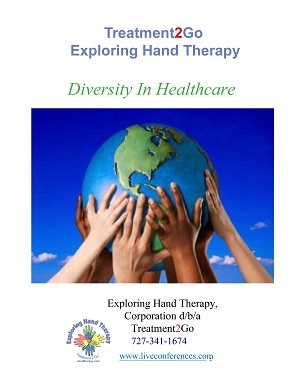 The changing demographics and economics of our growing multicultural world, and the long-standing disparities in the health status of people from culturally diverse backgrounds has challenged health care providers and organizations to consider cultural diversity as a priority. Patient care is not a "one size fits all" approach. Each patient presents unique diagnoses, care giving needs and interventions. In addition, each patient presents unique cultural needs that can profoundly impact health care decisions. Are there certain types of interventions that are prohibited based on spiritual beliefs? Are there education barriers that might impede a patient's understanding of his/her health care needs? Are there any misunderstandings or myths based on cultural histories that might impact an individual's choice to seek health care?